Cuban economist living in the United States. 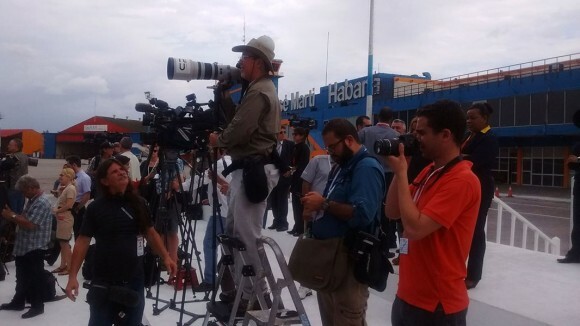 Hundreds of foreign journalists covered this visit, including some twenty of them representing the Miami media. All –as well as all the radio and television programs in Miami– stressed and emphasized that, for the first time, the Cuban people had access to the values and truths that the President of the United States carried: democracy, free elections, human rights and others of the same order. For the first time –according to all correspondents and media panelists in Miami– the revealed truth reached the ears of the Cuban people. The consequences must bring the regime’s final collapse to a close –almost all panelists agree– enormously. No correspondent mentioned, mentioned, quoted or compared the statements of President Obama with those of another president –not in office at the time– who was also a Democrat, and the Cuban authorities gave him the opportunity to speak publicly from the Aula Magna of the University of Havana and to disseminate his speech verbatim, without altering a comma, in all the press and official media. I mean President James Carter. Everybody was talking about Coolidge and no one was talking about Carter. And this was just, according to Gardel, 20 years ago. Could it have been a case of collective ignorance? Widespread forgetfulness? Very short memory? Wasn’t it elemental to compare and contrast both, or was it concealment with premeditation, nocturnality and malice? Since naivety is not an integral component of political exercise, then I have no choice but to lean towards the last hypothesis, that of concealment. Purpose? That of trying to demonstrate that “the Cuban people” lived, until Obama’s arrival, wrapped in a mantle of absolute isolation with respect to such messages and values, and hence the transcendence of the truth revealed by Obama. In his very long speech at the time, Carter defended the same values as Obama, did not hesitate to criticize what he understood critical of the Cuban experience, and carried a very explicit message of support for the Varela Project and its promoter, Osvaldo Payá, a precedent that President Obama avoided repeating in his presentations. Wasn’t there anything in this that could be compared or written down as a reference? Hard to assimilate such premeditated silence. And why not remember, also in the 1990s when almost everyone expected the inevitable Cuban collapse, as a large group of important North American figures from the Kennedy and Johnson administrations led by the most important Secretary of Defense, Robert McNamara, discussed no less publicly with Cuban leaders the whole conflict before, during and after the October Crisis of 1962 (a textual memory of this debate was published in Cuba, in 2012? Everyone overlooked that since 1960 “the Cuban people” has been subject and saturated, day after day, to the messages and values that the United States has sought to impose by force and media penetration. From VOA and Radio Swan broadcasts to all Miami stations, headed by Radio Mambí as well as Radio and TV Martí. But, not just this. In any Soviet–style radio station, any Cuban could have access to the best Spanish–language broadcasts of the most important broadcasters in Western Europe, from the BBC to Radio Netherlands or France International, without danger to his life or individual freedom. The average Cuban during the 56 years of the revolutionary triumph has also been exposed to the best of American cinema, and it should be noted that about 70% of all the films seen in Cuba, on cinemas and TV, are American productions. Many of the best works of his literature are reproduced in Cuba, in addition to the recent use of the famous “Paquete.” And the Internet –with all its costs, past blockades and limitations– has been advancing every day for years now, with more than 2,000 blogs, growing connectivity and more than four million users of cyber telephony, but never thinking about equaling or surpassing the Yuma (a term that is born from a North American west of the 50’s that became popular again in the 70s). With such a heavy media burden for decades, how can we possibly refer to the contents of Obama’s speech as if it were an exceptional novelty and a first? Such coverage becomes deceptive and manipulative, beyond any possible merit of President Obama’s pronouncements. Something very similar happened with the exaltation of Miami as a monument to Cuban–American exile ingenuity called historical. Did anyone make the slightest question, expressed doubts about the relevance or otherwise of the example used by Obama? Nobody. 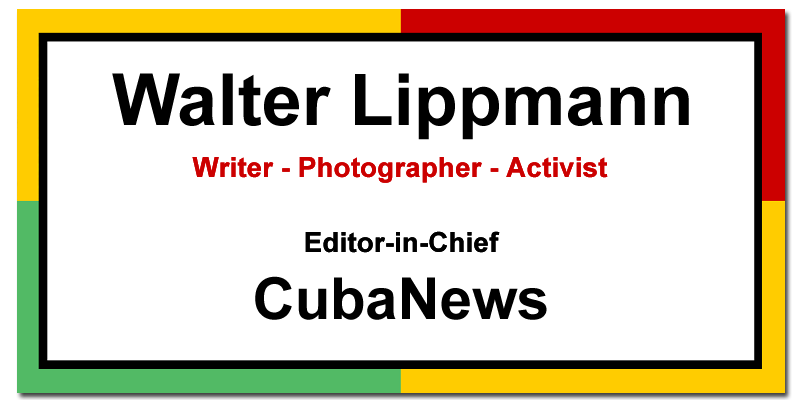 Is it true or untrue in the history of migration to the United States, that there has never been a Cuban community in exile like the Cubans of 1959 that received the sum of the beneficiation amount? Something very similar happened with the exaltation of Miami as a monument to Cuban–American exile ingenuity called historical. Did anyone make the slightest question, expressed doubts about the relevance or otherwise of the example used by Obama? Nobody. Is it true or not in the history of migration to the U. S., that there has never been a community exiled like the Cubans of 1959 that received the sum of benefits, support and federal, state and local privileges, without forgetting the few fortunes taken from Cuba when they began to notice the imminence of Batista’s defeat? Why don’t you take a quote from the well–known sociologist Alejandro Portes about it? Or some revealing angles of Back Channel to Cuba, Kornbluh and LeoGrande? Are they so busy that they don’t have time to find out? I don’t know who would have suggested Miami to President Obama as a monument of Cuban exiles, but no one could mention or intersperse the enormous contributions of the Jewish community, of Colombians –with or without drugs– Peruvians and Brazilians, Mexicans and Central Americans; of the flows of enormous capitals from the “south” to Miami, which for decades have dwarfed most of Cuba’s fortunes. It’s unnecessary to go to the Mafia, Miami Vice, the narcos and their billions, violence and hatred, murders and unsolved terrorist acts, dirty connections of all kinds up to the “plumbers” of Watergate. Alongside honest work and truly enterprising personalities, there is all this. This is all Miami. A close friend of the administration told me right away: It is absurd to compare Cuba with Miami. Its components and levels do not correspond. Any comparison with Cuba must be in relation to that of its neighbors on a scale and in context such as the Dominican Republic, Honduras, Guatemala and other similar countries. And why not say it when such a unilateral pronouncement occurs? I do not intend to subtract “merits,” but I do claim comprehensive, documented, balanced and unspoken coverage.